If you work or play in a hazardous environment, you could be wondering what you should do so that you can keep yourself safe and out of harm’s way. When you least expect it, an item from your environment can damage your eyes, and most people don’t know about the threat until it’s too late for them to prevent it. The best protection for your eyes are safety glasses. You can find a pair of safety glasses online or at your local hardware store. Gaining a basic understanding of safety glasses will help you see the role they serve and why you won’t want to go anywhere without them. In simple terms, safety glasses protect your eyes from bright lights and small objects that could damage them. For example, people who go to a gun range might use safety glasses to prevent the discarded shells from getting into and burning their eyes. Also, those who work in lumber yards often use safety glasses to keep sawdust out of their eyes. When you enter an area that can put your eyes in danger, opting for a pair of safety glasses can prevent you from going blind or experiencing other eye problems. When you put a pair of safety glasses over your eyes, you will want to know what level of protection you can expect. 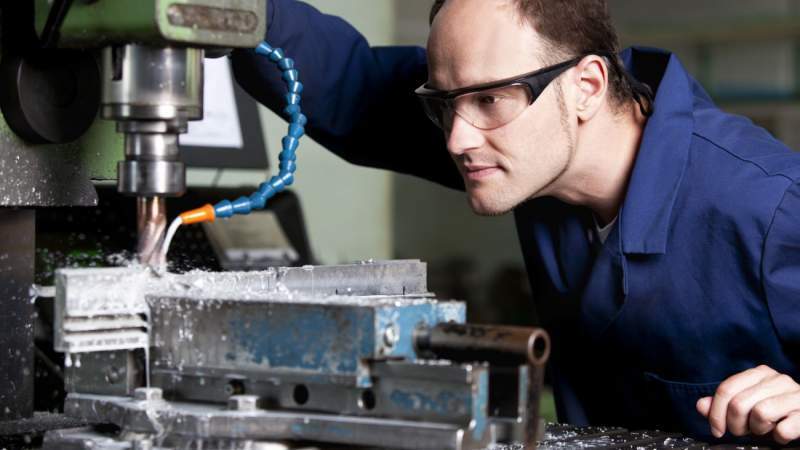 To qualify as protective equipment, safety glasses must pass an impact test. For a basic test, an inspector will drop a one-inch steel ball onto the lens from a height of 50 inches, and the inspector will discard the lens if it shows any signs of breaking, chipping, or cracking. If you need to enhance your level of protection, you can get a pair of safety glasses that will withstand a high-impact test. Researchers will shoot a steel ball at the lens at 150 feet per second to test its strength and durability, and only the ones that come out of the test unfazed make it to the shelves. Before you look online or head to the store to buy a pair of safety glasses, you will want to learn about the different types that you can find. Doing so will prevent you from making the wrong choice and wasting your money on a product that won’t fit your needs. If you want to protect your eyes from debris, small particles, or shrapnel, clear safety glasses will do the trick and give you peace of mind. Welders or other people who work around bright lights will need to get shaded safety glasses to prevent blindness. If you want to buy your safety glasses from a company with a reputation for offering quality products, the DeWalt Concealer could be the perfect choice for your situation. You will know that your eyes are safe as soon as you put them on your face. The rubber interior will keep you comfortable, no matter the task at hand. Plus, the impact-resistant lens will protect your eyes in any harsh environment. Extended computer use can damage your eyes over time, and it happens so slowly that you are unlikely to spot the red flags. Since nobody wants to lose their sight, consider the benefits of the Uvex Skyper. This pair of safety glasses will allow you to view your computer screen for hours without putting your vision at risk. You will be able to work without fear when you use them, and many people have already enjoyed the benefits. They absorb up to 95 percent of the blue light from monitors, allowing you to focus on the task at hand without experiencing eye fatigue. NoCry’s safety glasses could be what you need if you have been searching for a solution that will protect you from projectiles and ultraviolet rays. When people buy these safety glasses, they are pleased to discover the adjustable frame that enhances their comfort. Woodworking, shooting, and carpentry are just a few of the activities you can safely engage in when you don these safety glasses. When you spend your money on NoCry products, you won’t need to worry about running into issues with your purchase. The company gives refunds or offers replacements to anyone who has problems with their safety glasses. You can opt for Encon’s Veratti 307 when you want a product that will protect you in style. Encon has designed the lens to allow air to circulate freely, so fog won’t distort your view and you will always enjoy a clear field of vision. While the lens will protect you from anything that could harm your eyes, the blue frame adds a captivating look that nobody will be able to ignore. With the adjustable nose piece, the Veratti 307 provides a customizable fit and enhanced comfort. If you wear prescription glasses but still want to protect your eyes from any threat you might face, you can’t go wrong with Getaway Safety’s Cover2. Since it’s made from a one-piece lens, it will fit over your prescription glasses with ease. Although it does not weight much and has a simple design, the Cover2 has passed the standard impact tests and will not let you down. Black, gray, and clear are the colors from which you can choose when you add these safety glasses to your collection. You will be happy when you see how well they fit and understand the amount of protection you will get.